The fellows over here won’t whimper or moan. Truly and honestly, from way down deep. These holidays are remembered by one and all. Often referred to as ‘The People’s Holiday’, Thanksgiving Day is a holiday that is neither a religious, state, nor a political holiday. The holiday was born from the nation and has remained so since the birth of the nation; the coming together of varied peoples. 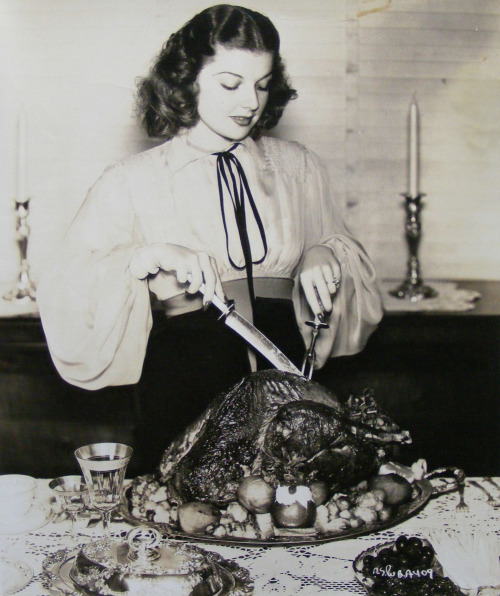 From the first Thanksgiving, to the Thanksgivings of the 1940s, not much had changed. The holiday still meant family coming together to celebrate the good fortunes of life. Not even the Second World War could change that for America. 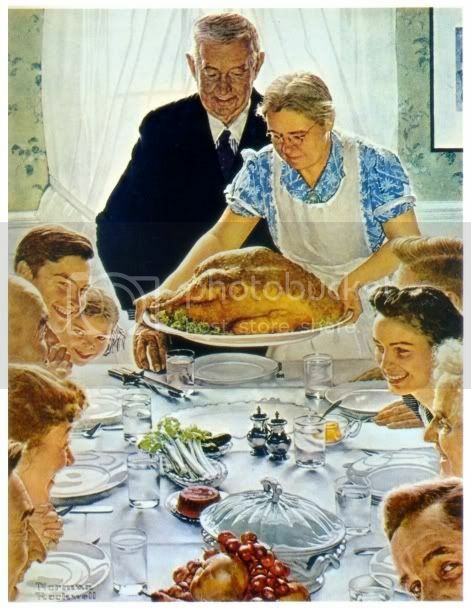 In fact, the Norman Rockwell painting, “Freedom from Want”, became the token image for the holiday. The spirit of the holiday could have been dampened by all the shortages, rations, and restrictions, but the people would not let that happen. As everyone knows, Thanksgiving is always the fourth Thursday of the month of November. Many people believed Abraham Lincoln made the day official in 1863, but he did not. In 1939, the last Thursday happened to also be the last day of the month and retailers were worried about the shortened shopping season for Christmas (back then it was custom to wait until after Thanksgiving to begin the Christmas season). Franklin D. Roosevelt decided to change the holiday celebration to the third Thursday of the month. 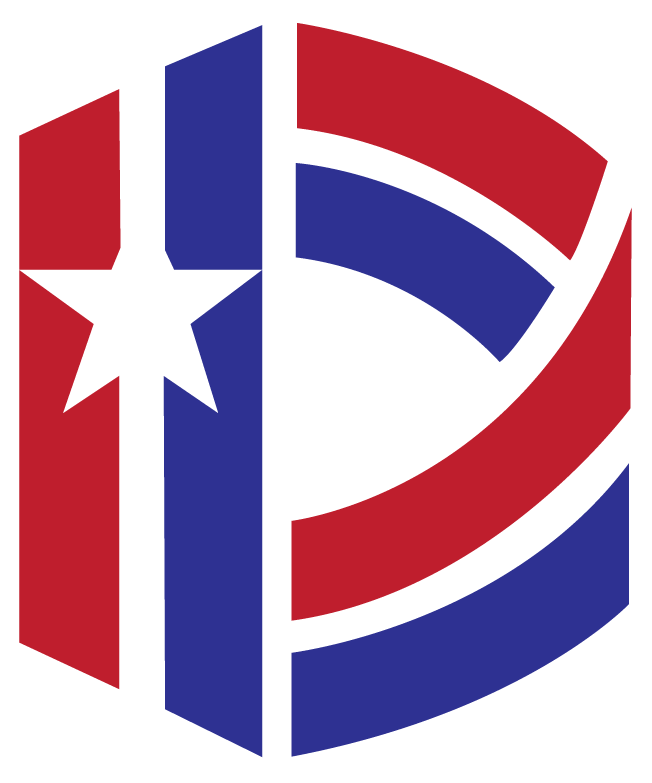 With any major change, the new date was quite unpopular across the nation, with eighteen states refusing to comply. For three consecutive years, thanksgiving was held on two separate dates, the old date nicknamed the ‘Republican Thanksgiving’ and the new date the ‘Democrat Thanksgiving’ or ‘Franksgiving’. But even President Roosevelt knew the date change had no real effect on retailers and decided on October 6, 1941, to reestablish the fourth Thursday of November as the official day of Thanks. 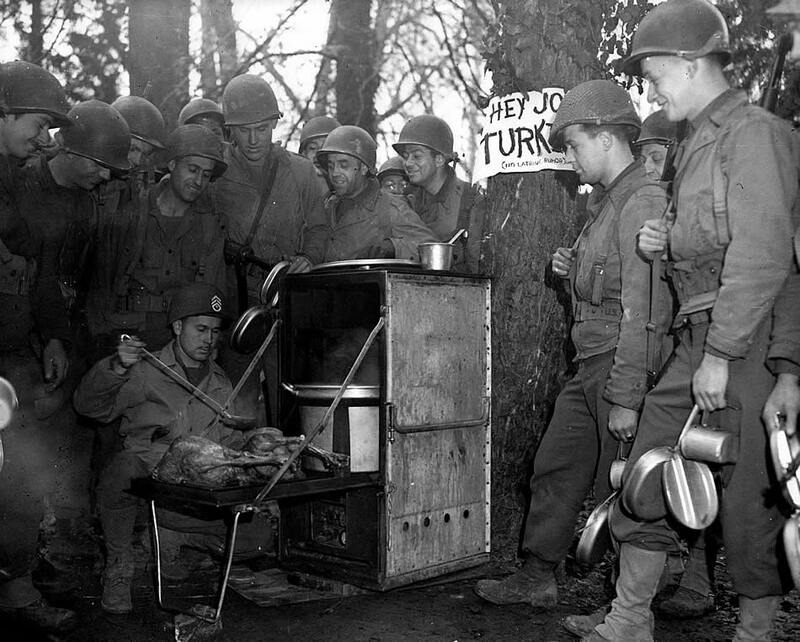 Throughout the U.S. involvement overseas, military officials did their best to provide a traditional, hot holiday meal for the soldiers overseas. In 1943, the American people sent two liberty ships fully stocked with Thanksgiving supplies for the soldiers. 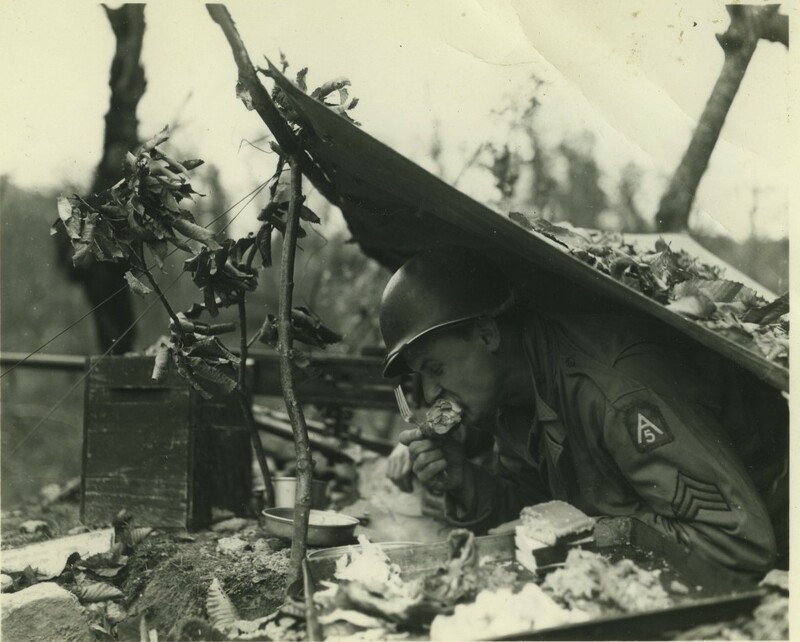 Everything was included, turkeys, trimmings, cranberry sauce, and even various pies, all sent throughout the European and Pacific theaters, all the way to the frontlines. Those lucky enough to be stationed on board one of the Navy’s vessels received excellent food all the time, but Thanksgiving was particularly scrumptious for the servicemen. Despite the good intentions of the higher ranks, every man missed their families, especially during the holidays, but the soldiers had each other through the hardest time of their lives. However, no Thanksgiving could quite compare to the ones held at home. Some men observed that the feeling of Thanksgiving wasn’t there, not like at home. 1942 was the year of the first wartime Thanksgiving and even though sugar was technically the only rationed item in the grocery, shortages of meat and butter created even more of a challenge for cooks. They also had limited access to certain traditional spices because they came from areas now occupied by the Japanese and cargo space needed to be reserved for wartime supplies. Things were no better by 1943 and 1944. Not only were meats, butter, and sugar being rationed, but cheese, fats, and canned or processed foods were as well. Some folks would save their ration stamps for the holidays and use innovative techniques to create the perfect meal. Ironically, even though chicken and other birds were not rationed, finding a turkey for your own table was quite a chore since many of the birds were shipped overseas for the servicemen! As if the food shortages were not enough, tire and gasoline rations made it difficult for family’s to gather together under one roof. However, even smaller, intimate gatherings were just as important as big family reunions. Since so many young men were drafted, America’s favorite sport, football, was put on hold for the war. But in 1943, the Philadelphia Eagles and the Pittsburgh Steelers combined their teams in order to fill their rosters and the team was nicknamed the ‘Steagles’. Rubber was the hardest material to come by because 92% of our supply came from Japanese occupied lands. Everyone had to do their part to aid in the war effort, even Macy’s Department Store. Macy’s famous Thanksgiving Day parade used marvelous, gigantic rubber balloons for their annual parade. The balloons were donated to the cause and shredded for scrap rubber, thus cancelling the parade for the duration of the war. America would not see another parade until 1945. Benjamin Franklin suggested the national bird for the newly founded country of America should be the Turkey because it was a “much more respectable bird” and “a true original native of America.” Instead, we prefer to eat the bird. Abraham Lincoln was not the first President to urge Americans to celebrate Thanksgiving. George Washington, John Adams, and James Madison all issued proclamations regarding the holiday. Gimbel’s Department Store in Philadelphia was the first major store to host a Thanksgiving parade and not the famed Macy’s Department Store. Thanksgiving Day Football Game, 1940s. Cranberries were actually used by the Native Americans in the first Thanksgiving dinner, as well as for their daily medicinal needs. Today the meal is incomplete without the delicious fruit. 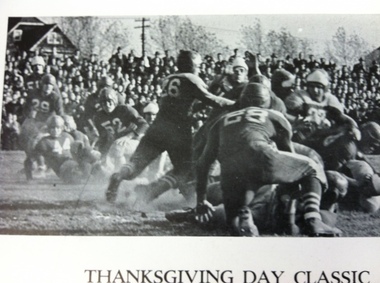 The first Thanksgiving football game was held in 1876, about the same time the sport was officially recognized.